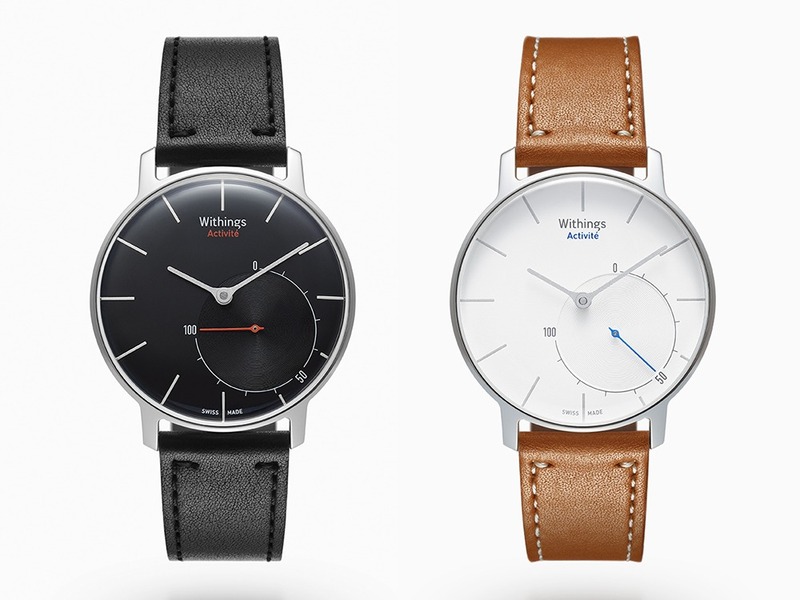 Withings, a very well known name in the industry of connected health devices, has come up with a beautiful watch that has the analogue styled clock but the most interesting part in it – the presence of an activity tracker under it. Named as Withings Activité, the watch that comes with the Swiss-made design and the technology that has been recently famous for tracking health stats. Based on what is seen in the current world of wearable tech, the Withings Activite does not qualify for the name Smartwatch as it doesn’t sync and show up any of your phone notifications or such on the watch face, except for the time in analog style. But, it is smart and not showing it off. Because, under the watch face, there is an activity tracker which would record the data of your activity and then sync it with your phone to let you know the stats. The Activite comes with an accelerometer for tracking the sleep and steps, and for syncing the data, there is Bluetooth LE and the compatibility is only with the iPhone for now. It is the Withings Health Mate application for iPhone which would showcase all the activity details, with the personalized stats and goals. The best part about this watch is that it comes with the battery life of about one year, and with the connectivity and activity tracking features, the battery life is something that impresses a user, who doesn’t have to charge it every week. The Withings Activite is waterproof for up to 50 meters or 5atm. The watch looks pretty beautiful, and it comes with a leather strap with color options. It is going to be available from August, and in the US, it is to be priced $390, while in UK the price would be £320. The color options available would be – silver and black.